Inquiries and bug information are requested by e-mail. There is no hindrance to operation. Press the OK button to proceed. 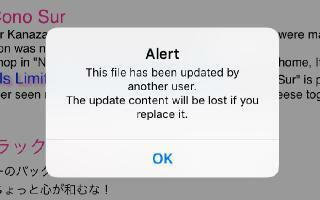 It seems that the phenomenon comes from IOS 10.3.2.